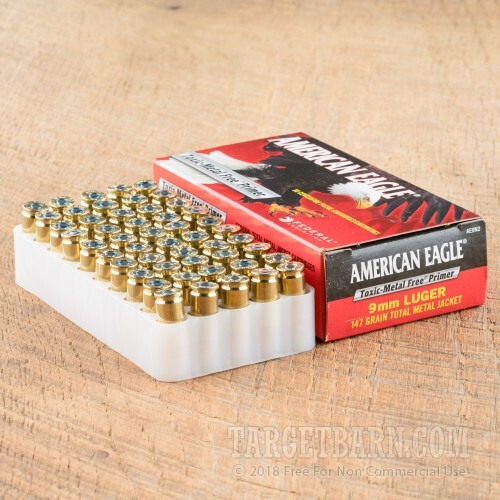 An ideal range load for indoor shooting, this 9mm Luger ammunition from Federal's American Eagle series delivers inexpensive, dependable performance at the range. 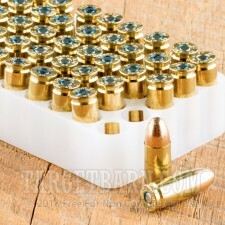 Each round in this box of 50 fires a 147 grain total metal jacket bullet at a subsonic muzzle velocity of 960 feet per second. 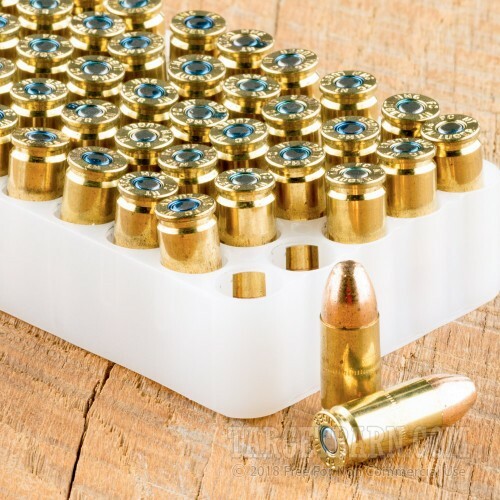 Due to its fully encapsulated design, the TMJ projectile releases minimal lead into the air when the cartridge is fired; this is a particular benefit in poorly ventilated spaces. 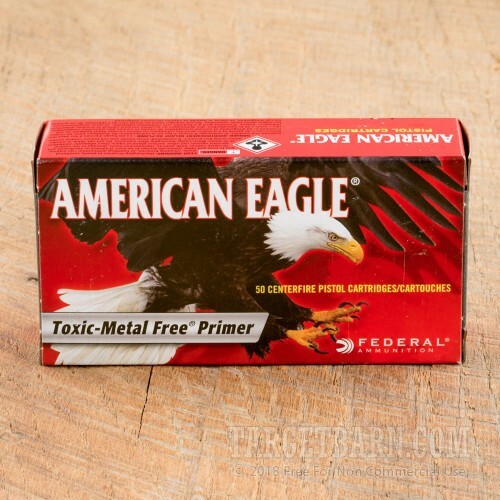 Federal ammo is made in the USA using non-corrosive primers and brass cases. This particular ammunition features primers free of toxic metals.